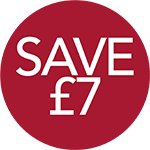 Enjoy the therapeutic benefits of Lavender and save £7.00! Lavender is well known for its lovely fragrance but it also has many health benefits. It can relieve anxiety and insomnia, ease muscular aches and pains and enhance blood circulation. It's also a powerful antiseptic and anti-inflammatory. This lovely, lavender-fragranced powder is a sweet-smelling way of keeping skin soft, dry and rash-free. It’s refreshing and calming to use and is perfect for applying after a bath or shower. It can help soothe chaffing or irritated skin from heat rash especially in warmer, creased areas of the body where it can be most prominent. This gorgeous smelling, soothing gel contains lavender oil to gently fight infection and is ideal for itchy, rough or dry skin. It's easily absorbed and suits all skin types, even sensitive. Moisturise, soothe and rejuvenate your hands with this sumptuous cream. It’s made from pure Lavender Oil which is known for its healing qualities and gives it a beautifully, delicate fragrance. It’s easily absorbed and contains Almond Oil and Glycerine to help nourish the skin. This premium-quality, undiluted oil offers a range of therapeutic benefits. A few drops in the bath can ease aches and pains while a couple of drops on a pillow can help you unwind and have restful night’s sleep. Rub it on your temples to relieve a headache while some drops on a cotton wool ball, placed in a glass bowl, creates a calming effect and deodorises the room.